As mentioned yesterday, Knicks are preparing to increase the capacity of its data centers, early next week, players will be expected to ease tension and congestion, and allow the sales figures start again. A) what is the current localization version of completion, please? When can you open? ▼ yoshida, Due to the Chinese version of the translation work in parallel of the localization and international service, So the translation of the complete degree and international clothing is completely consistent. And overall progress has completed 80%, so stay tuned for the formal operation in China! B）The configuration of 2.0 have significantly lower than before? ▼ yoshida, The minimum configuration has a very significant reduction! Can support Core2 Duo 3.0 GHZ operation, also asked the players to experience. C) the current game and how the total completion? ▼ yoshida, The next international of the beta test will be on a large scale, Due to debug and adjust, so the progress a little bit later than that of the translation. Probably around 75%, but also can be done soon! D)Other large relative to the MMO “final fantasy 14” the biggest difference is that? ▼ yoshida, Has 25 years of history may be the FINAL FANTASY of online games 】 it. Inside there will be a high grade, high level, a large number of cinematic sequences, the best the plot and content rich can play the game. Especially in the case of no team, also can easily play Full with a lot of players The Active Time Event on a large scale task system, Can make the players feel personally “the world is alive”! E) because of the clothes is independent from outside; for content synchronization, can we meet? ▼ yoshida, Because there will be some special festivals in China, the difference of balance adjustment and on the way to charge, So there may be a little bit some delays, but the basic update as the content and the international clothing! F) SE for the clothes look forward to? ▼ yoshida, China’s online game market is the world’s first. And in the largest market, will be officially operating final fantasy series. So I was really looking forward to, and in order to allow more players to enjoy the fun of the game, I’m also try my best to make a good game! In the future, please also support a lot! ▼ yoshida, After get ostards, ostards can through the “buddy system” battle with players. Moreover, also can be used as a Tank or Healer and players together, so will become a very strong partner! 3) is released by the picture is the effect? Will improve? ▼ yoshida, In view of the corresponding high-end PC, further art is still in effect. 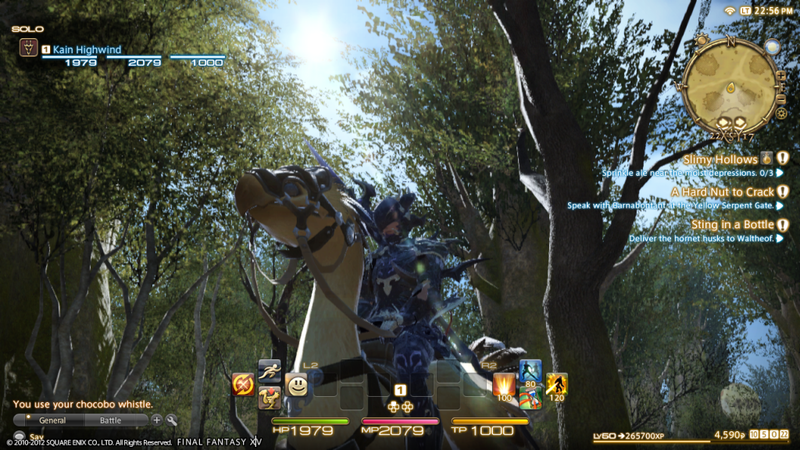 In addition, the newborn FFXIV after launch, will be fully corresponding DirectX11. ▼ yoshida, At least to be sure, there is the role of the FF series equipment. Can prove whether the current position of the role of the FF series itself bring to the game, to see the player’s response! 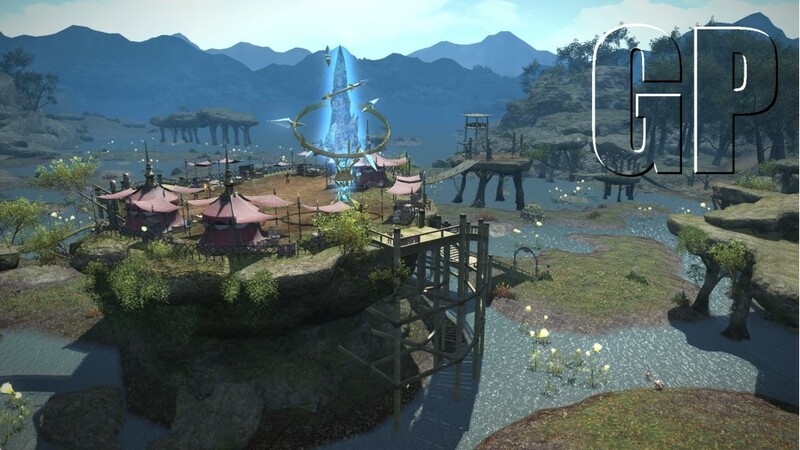 5) the location of the new 2.0 it not mainland Eorzea 2.0 games aim? Liberation from Palestinian hamm, hand Eorzea mainland or have other? ▼ yoshida, No, 2.0 the world is new Eorzea continent Is over the five years after the collapse of Eorzea’s adventure in the continent. As to why China won the rebirth, there will be a replacement in 2.0 plot, and also includes the ham’s battle. A copy of the freeboard difficulty waiting for players to challenge! ▼ yoshida, Prepared many lines of huili operator/against manual/collection tasks such as the single-player content of leisure, and daily tasks, Full Active Time Event makes a lot of players can be in the team, not easy to join together in the same game content, So casual gamers also please rest assured. 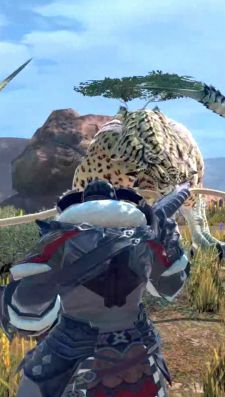 And in addition to combat content, still in the production of large-scale building system, After a player can in mainland Eorzea, live a relaxed leisure life, also is pretty good! Square Enix recently announced that the final fantasy 14: rebirth of is about to enter the second phase of the beta test. The test time will from this weekend until the end of April, participating players will be able to beat visiting Gridania city area. In addition, also joined in the tests for the PC external handle support, and other functions, the most attractive is likely to be a brand new Full Active Time Events event, this is a kind of random trigger Events. In addition, the game official also revealed that in the future the final fantasy 14: rebirth country of the third test, will join the PS3 game version, and a lot of new content. At present, the player can still be tested within the grid application, interested can go to the game’s official website to register. The players don’t try so hard, the localization of the game at present and the work is almost finished, is expected to begin in Q3 this year first. What are you waiting for? To participate in the game at once! If you chat to learn more about FFXIV Gil message. If you read all of the columns I write in a given week, then I believe that you’re a wholly fictional creature. But beyond that, you’ll remember that my Wednesday column was all about the systems that City of Heroes could comfortably borrow from Guild Wars 2. You may also be expecting the same sort of column here. That is definitely not the case. For starters, neither Final Fantasy XI nor Final Fantasy XIV is in a state where it can borrow anything. The former is set in its ways, and the latter has a major update around the corner that makes suggestions about mechanics pretty suspect. Furthermore, neither game is really into the whole “borrowing” routine, preferring instead to reverse-engineer a concept into some bizarre reinvention of the wheel that makes both games at once wonderful and incomprehensible. No, today I’m looking not at mechanics but at lessons for Final Fantasy XIV. The game is going to be relaunching soon, and that’s when Naoki Yoshida’s core principles will really be put to the test. And as the development team puts the final touches on the game, I think there are a few things to be garnered from the design of Guild Wars 2 that might nudge development around a touch. We know that we’ll no longer feel stuck with just a single action bar in FFXIV version 2.0, so that’s good. The limitation on action bar space always seemed as if it was trying to emulate the classic Guild Wars setup without catching any of the nuance. But since it’s easier to set up our bars how we like, I think it’s important for the game to give players more choices for customization along the way. As it stands, your biggest choice is just what abilities you’ll put on your bars with a limited number of slots. But that’s assuming you even have a wide enough spread to take up all of the slots on your bars in the first place. The lack of off-class combos and the number of limited abilties lead to a lot of pretty useless options and only a few useful ones, and while it’s a grand improvement from the game’s launch, it’s still not quite there yet. Yes, you also choose stat distribution, but that’s honestly pointless. Having two more points in Vitality than the other guy isn’t an interesting choice, and there’s little reason not to jack one stat to max and level a couple of others decently. There’s no uniqueness to be had, no motivation for hybrid options, and so on. If our stats were increased further by leveling and if point allocation went away, I would shed no tears. No, what we need are ways to customize our classes a little more — specialties, playstyle preferences, the things that Guild Wars lacked that GW2 added. After all, the original had a setup by which your customization was mostly limited to what’s on your bar… and the sequel has since enhanced and refined that because it turns out that buttons aren’t all that engaging. We know chocobos will get some specialty trees; it seems only fair to give players the same. Square-Enix has done a spectacular job at hiring voice talent of late. Final Fantasy XII and Final Fantasy XIII really sold their stories based on the strength of the voice cast, and that’s to the credit of everyone involved in localization. 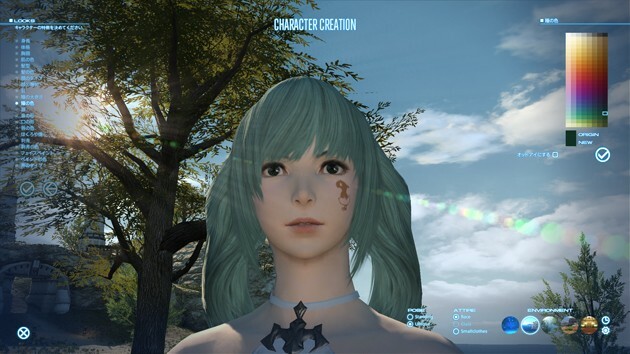 There’s already a chunk of voice acting in FFXIV, and it stands to reason that the game will follow the trend and include even more in its reborn incarnation. But GW2 reminds us once again that voice acting is worth including only when it’s, you know, actually good. When it’s done badly, you find yourself making fun of it and getting yanked right out of the story along the way. I’m not saying that further voice acting is bad in principle; I’m saying that if you keep getting awkward deliveries and poor inflection, you might be better off just letting players read. And while it might seem like a cop-out at first, I think we’ll all appreciate a silent but well-written scene more than a well-written and poorly acted scene. 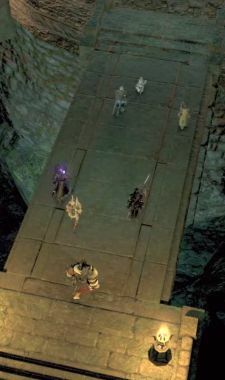 Fans don’t appreciate it when we bring up GW2′s leveling path issues, but it’s a bit of a stumble that if you’re unlucky with dynamic events, you wind up without a lot to do in order to make up the gap until your next level. A far better state of affairs would be having too much to do, so you would either perpetually overlevel things or not wind up getting marks for completing every quest in every area. The fact that guildleves will still be present means that the game will likely have some means of smoothing the level curve even after the version update, but it’s still worth ensuring that players always have a way to keep advancing through content, especially in FFXIV, with low-level content that needs to support several leveling classes rather than just one. Not everyone will appreciate the fact that every class in GW2 is an island, but there’s a brilliance to that balance. There’s something to be said for turning the usual trinity requirements on their ear and giving all classes something functional to do while alone, including ways to heal, endure, and damage targets. 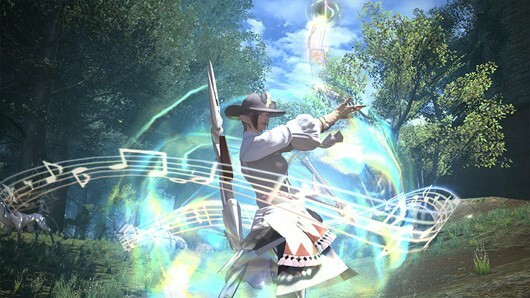 Cross-class abilities fill out some of the gaps here in FFXIV, but turning up the emphasis on jobs tones down the option to port over abilities. I don’t think that’s a desirable outcome. Indeed, I think that the current focus and role of jobs is unnecessarily limited, but that’s a discussion for another day. The point is that there’s nothing wrong with tilting all players toward a little more self-utility. And if you can present something radically different from the usual trinity model in the time between now and release, I’ll be happy to see it. I would also be happy if it were just fun to tank after 2.0, but I’m not banking on it. Not so long ago I was getting upset at a lack of hard information on Final Fantasy XIV’s relaunch. (All right, I was getting upset at a lack of hard information on stuff to make people currently long gone care about the game, but that was tied into a lack of hard information.) Over the last two weeks, we’ve received a lot of hard information on the relaunch. Well played, Naoki Yoshida. Well played. Metacommentary aside, we’ve actually gotten some useful bits, chiefly in the form of a fully translated Letter from the Producer LIVE and an update on what’s happening with items and money when the relaunch happens. There’s a lot of information to hit there, so I’m just going to take it piece by piece and cover what I see as the highlights. I wouldn’t say that this information really fixes some of the communication concerns I’ve had, but it certainly mollifies me for the moment. All right, good. This is good. I’m fond of several of the ideas at work here, especially the fact that the game is going with both an instanced and shared form of housing in neighborhoods. While we’ll have to see the actual implementation, the new plan avoids the problem of having ghost houses out in the open while still giving players the feel of being part of a larger community. I look forward to getting myself a nice little plot of land; in fact, the wording seems to imply that you can buy multiple plots, which would sweeten the deal significantly. Cost may be an issue, but I suspect that it will be affordable for most players now, especially since the game will likely price lots within reach of newer players. The introductory ones, anyway. We may wind up with veterans building large clusters of mansions around small newbie homes. The biggest thing we haven’t yet seen is a point to housing. For me personally, that’s not an issue; having a virtual dollhouse is reward enough. But the best housing systems give you both the option to build a house and rewards for doing so. Final Fantasy XI certainly did, albeit in a rather limited fashion, and I’m hoping that Final Fantasy XIV follows suit. On the one hand, making these old items unique and untradable is the right move; these pieces of gear will become cosmetic little souvenirs. But removing the “recommended” part of equipment? Significantly less cool. These items are already useless for much beyond RP costuming; making them less able to perform their sole remaining function is not a good idea. Considering the existing penalties for equipping something outside of recommendations, I’d say it’s not like leaving in the option is game-breaking in any fashion. What we’ve heard so far about these changes is good, but we don’t know much. We’ve essentially been told once again that both Hand and Land classes are getting their own resources, crafting is being streamlined to be more accessible, and gatherers will have more control… but we’re long on ideas and short on hard examples. To be fair, we’ve also seen more of these processes in action now, and the inclusion of a place to store all our recipes is massively welcome. I’m going to assume that it operates along the same lines as the present system, so looking up recipes in the first place will be a bit of a bear, but being able to recall these things at the drop of a hat is more than welcome. There are holes in what we’ve been told. Obviously, crafters will be involved in housing, but which crafts? Woodworking is obvious, and Goldsmithing seems likely, but beyond that it becomes increasingly questionable. And the roles of these crafts in the future is worth explaining — will Alchemy still be a useful middleman with a dearth of unique recipes for its own consumption? How many Cooking recipes will we be looking at? You get the idea. When it comes to the gathering changes, it’s a bit more ambiguous. I’m fond of gathering now, but I can see how some of the additions would be very useful. I do hope that the current flow of harvesting isn’t too badly disrupted by the changes. Making the process more involved is definitely worthwhile, however. This is pretty universally worthwhile. It’s a minor change that will be largely transparent, and quite frankly values for money right now are absurd even when you take into account that the game doesn’t feature decimal currency. It kind of stings to be dropping to a tenth of my current wealth, but the long-term benefits are worthwhile. One thing on this answer really stood out to me: Yoshida’s statement that guildleves won’t change much. This isn’t really in line with other things that he’s said, up to and including statements that leves will be familiar but obtained and used in a different fashion. The problem here is that people either tolerate leves or actively dislike them. Making it clear that they aren’t changing much gives me a sneaking suspicion that the total quantity of quests will get you through two, maybe three classes. For all those times when you don’t have content to consume? Hope you like leves — the ones that quests were supposed to be replacing. That’s all speculation. But I do feel a small twitch in one of my eyes at the thought. 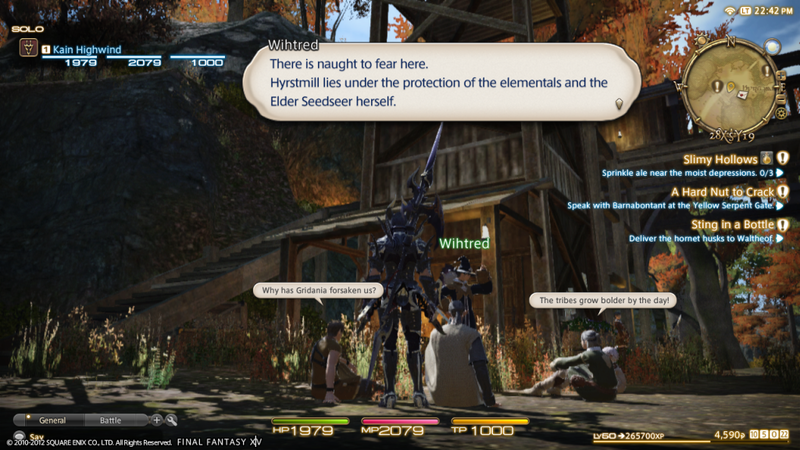 When Final Fantasy XIV first launched, it was with the promise of a PlayStation 3 version in the near future. That was before the game underwent numerous staff changes, and after two years, it may have seemed to fans as if the game would never come to consoles. 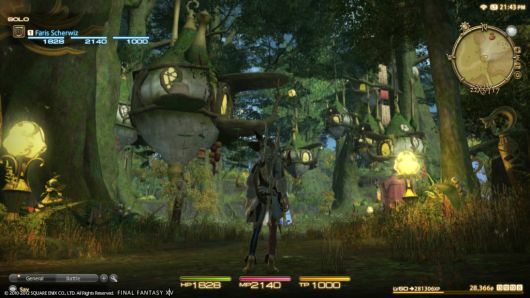 But the PlayStation 3 version is a reality, and the team at Square-Enix has released new screenshots of the game’s UI and in-game graphics on the console version to prove it. The overall look is a bit cleaner than the PC version of the UI that players have seen previously, although the graphics are a bit softer around the edges. But it’s still recognizably the same game. This batch also includes some concept art for new role-focused chocobo barding, something that’s sure to excite fans of the yellow birds. Take a look at the gallery for all of the screenshots and concept art. 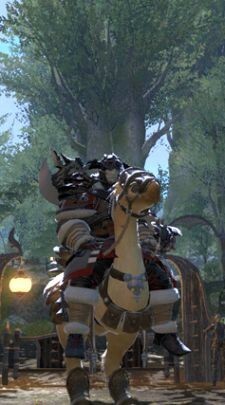 Almost two years after it was announced, the launch of Final Fantasy XIV: A Realm Reborn is almost here. I’ve enjoyed my time in the closed beta weekends leading up to this point, but now that Beta Phase 4 is letting everyone in for the weekend, many of you will see Eorzea for the first time. Previous beta players are probably plotting how to best use this Early-Early Access window, since Square Enix has told us progress made during this Open Beta will carry over into Early Access and Launch, but for everyone else there are a lot of questions that still need answers. What classes can I play and what needs to be unlocked? Which guilds start in the same town so I can play with my friends? When can I start crafting/gathering? Hopefully, by the end of this post I’ll have answered everything you need to know to get started in FFXIV and get a head start on everyone waiting for launch day. Now that you have the beta client installed and made your avatar, it’s time to choose your starting class. Note that I said “starting” – you’ll want to switch classes later on to pick up skills for your main class or to unlock second-tier jobs, but you have to start somewhere. Your choices are limited at first to the eight base combat classes; crafting and gathering professions are blocked for the moment, so there will be no repeats of you chain-casting Throw a Rock for story missions like in v1.0. For those looking to play a caster, you have three choices in the Disciples of Magic: Thaumaturge, Conjurer, and Arcanist. Thaumaturge is your DPS caster class – fireballs, frost attacks, lightning and your other typical mage stuff. Conjurer is the healer option for casters – cure spells, cleanses, protection spells and the like. Finally there’s Arcanist, which I haven’t had the chance to play since it was unavailable during the previous beta weekends. According to all of the data mined information, the class is a mix of DoT attacks and debuffs with a pet, Carbunkle, to provide DPS/healing/etc. depending on which version is summoned. If spell slinging isn’t your style, the Disciples of War have five alternatives for you. For those interested in tanking, there are two options. Gladiator is your typical sword and board style tank while Marauder lets you tank with a two-handed axe instead. If tanking isn’t your style yet you’d still like to be in melee, Pugilist and Lancer may suit your needs. Pugilist is your monk archetype character, complete with fist weapons, flowing combat styles, and an emphasis on multiple hits rather than the strength of individual attacks. Lancers use polearms to skewer their foes from behind while slowing them to prevent escape. Last but not least, there’s Archer for those who don’t fancy spell casting, but care for getting stabbed in melee even less. As an Archer you’ll rain death from the skies with volleys of arrows. Why Do I Need Conjurer To Be A Bard? Earlier on I kept mentioning second-tier jobs, so some of you out there are probably wondering what that’s all about. These jobs are the unlockable extensions of the base classes you chose from at the beginning of the game. Some allow you to specialize further in the role of the base class that led to it while others branch out and let you perform roles you never could with the class that led to it. Each class from the Disciples of War and Disciples of Magic has at least one second-tier class it can unlock; currently Arcanist is the only class with two options, but the developers have said additional job options will be added in future content updates after launch. Today Square Enix broadcasted the sixth installment of the Final Fantasy XIV: A Realm Reborn Letter from the Producer Live webcast, starring Producer and Director Naoki Yoshida as he responded to quite a few questions from the fans, read by Community Manager Toshio Murouchi. 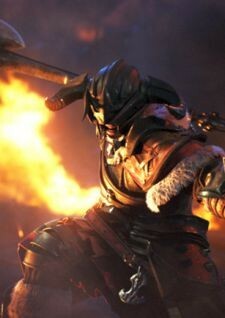 Square Enix President and CEO Yoichi Wada also attended for a moment at the beginning to specify that while he’s leaving his position (apparently he’s still going to work for Square Enix), nothing will change for Final Fantasy XIV: A Realm Reborn, as Yoshida-san already stated a few days ago. 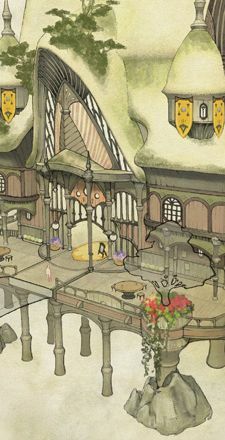 Besides responding to the questions Yoshida-san displayed quite a few pieces of artwork for the game (that you can see at the beginning of the gallery at the bottom of the post) and traveled the housing zone of Limsa Lominsa, and the areas around both Limsa Lominsa and Ul’dah. You can also find quite a lot of screencaps of these in the gallery for those that missed the event, since it was streamed at the usual ungodly hour for a large part of the western world. I have to say that the housing zone looks absolutely lovely, just like the ferry port that will let us travel between the two city-states. The overhaul of the area is definitely fantastic, and I can’t wait to see it in the actual game. Of course the initial sequence reproducing the opening of Final Fantasy VI with a green-haired Terra-like hyur riding a Magitek armor (including the appropriate but remade music track) was also quite unforgettable. But without further ado, below you can read all questions and answers, with the official translation courtesy of the FFXIV community team. Q1: What kind of bonuses will players receive by utilizing housing? A1: By setting up items known as towers at your house, you and your free company members can receive bonuses to things like EXP, the rate in which you acquire gil, and other benefits. Q2: Will you be able to buy and sell the rights to the land for housing in your bazaar? A2: Yes. You will also be able to trade them. Q3: Is it possible to have multiple houses? For example, your main residence is located in Limsa Lominsa, but you have a vacation home in Gridania or Ul’dah. A3: It really depends on multiple factors, like lag and such, but as long as there are no problems we would like to make it possible to possess multiple houses. A4: We’re planning to release new information right before the start of Beta Test phase 3, so please wait until then. Q5: In the previous Letter from the Producer Live you mentioned that summoner would make it in time for launch, but will it be possible to play as an arcanist in the open Beta Test? A5: I don’t believe it will be ready in time for Open Beta; however, we would like to introduce them with a video. Q6: Are you planning to implement great swords? A6: We would like to introduce great swords when we implement a new class or job. Q7: Compared to primal weapons and relic weapons, how strong are you planning to make the weapons from Crystal Tower and the Great Labyrinth of Bahamut? A7: The way we’ve set it up is so you can use the weapons you obtained through the primal battles to then challenge the Crystal Tower, and then use the weapons you obtain from Crystal Tower to challenge the Great Labyrinth of Bahamut. With that said, the weapons and armor would follow strength in that order. Since there are a lot of primal weapons, we are also creating armor. Q8: Will you be eliminating open dungeons like Castrum Novum from 1.0 where you could enter without having to make a party? A8: The things we are calling dungeons will all be instanced dungeons, but that doesn’t mean that all of the dungeons that existed in version 1.0 will be turned into instances. There will be things such as FATE that take place in them. A9: There will be some locations you will be able to go to. In addition, even if it doesn’t make it in time for the launch, we’re thinking about adding these new areas in upcoming patches! Q10: In regards to the weather in A Realm Reborn, what kind of weather will there be? Also, could you tell us any details about how the weather will affect the game? A10: We’ve prepared sunny, cloudy, clear, rainy, and special weather for each region (for example sand storms and blizzards). We also plan on having weather largely affect fishing. Q11: Can you show us the weather from a higher point-of-view? Q12: Could you please tell us the difference between jobs and classes in A Realm Reborn? A12: Compared to 1.0, we will be placing jobs above classes in terms of their ranking, however, classes will still remain better suited for times that you are leveling up solo, while jobs will be better suited for party content. Q13: Are there any spots you would like us to pay attention to while in Limsa Lominsa? A13: The open terraces, for instance. In addition, I would like everyone to enjoy the open atmosphere. It has a much different feel to it compared to the other main cities. We also made changes to the city so it’s easier to move from one location to another (including warp points). Q14: How many instanced dungeons will there be at launch? A14: Including the bigger ones, we will be implementing around 16-18 instanced dungeons. Q15: Will there be a system that will forecast the weather? A15: That’s something that would be nice to have so we’ll be sure to let the lead know! Q16: In the previous broadcast, you mentioned that the materia system would be largely changing, but could you tell us some details on this? A16: The equipment in A Realm Reborn will have sockets, and you will be able to place materia into these sockets without failure. We are calling any attempts to add further materia beyond the set number of sockets “forbidden,” (what we referred to as multiple melding) but if you fail at this in A Realm Reborn you will not lose your equipment. We will also be addressing this so imbalances do not arise with gear that has been melded with multiple materia in version 1.0. We will let you know further information as we move toward release. Q17: Will we be able to enter instanced dungeons with our chocobo buddy? A17: We would like everyone to challenge the dungeons with players at launch so you won’t be able to enter the dungeons with your chocobo buddy. However, we do have plans to release the restriction in stages. Please stay tuned! 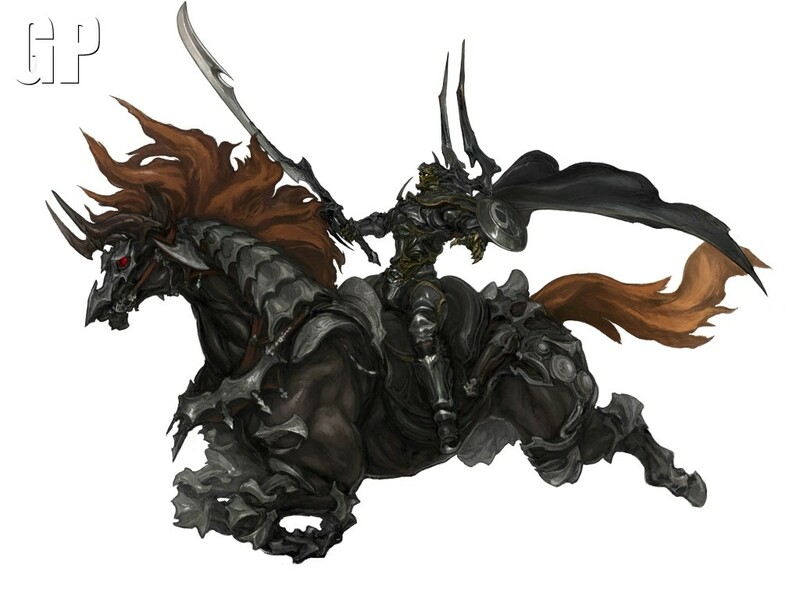 Q18: You mentioned that there would be tank, caster, and other roles for the chocobo buddy system, but could you tell us some details about the system? A18: Ultimately feature-wise, the player has the Armoury system and the chocobo’s level will match their master’s level. As the chocobo continues to grow you will be able to acquire points, which you can then use to obtain skills. If you obtain attack-related skills, you can gear more towards an attacker role, while if you focus more on healing skills, your chocobo will become a healer. It will be possible to change their role anytime you wish. One more thing… Up until now we have shown a bunch of different chocobo equipment, but we’d like you to choose what you equip based on how you want your chocobo to look. By setting parameters to chocobo armor, we felt everyone would be equipping the same armor, so we decided to get rid of stats for their armor completely. We’d like you to pick the armor you like the best. Q19: What’s happened to the arcanist guild? Q20: Will we be able to craft furniture for housing? A20: Yes, we have plans for you to be able to craft many, many items. Stay tuned! Q21: Would you be able to provide us with more information on the ARR Collector’s Edition? A21: The Collector’s Edition may come with some in-game items… Don’t worry, we do have plans to do something for the 1.0 players that have purchased the original Collector’s Edition! Q22: Will there be changes to the relic weapon quest in A Realm Reborn? Also, if there are changes and we were in the middle of the quest in 1.0, will we be able to continue? A22: We are planning to make some simple changes to the content, but your progress status will be saved and we’ll be making sure the efforts you made are not wasted. 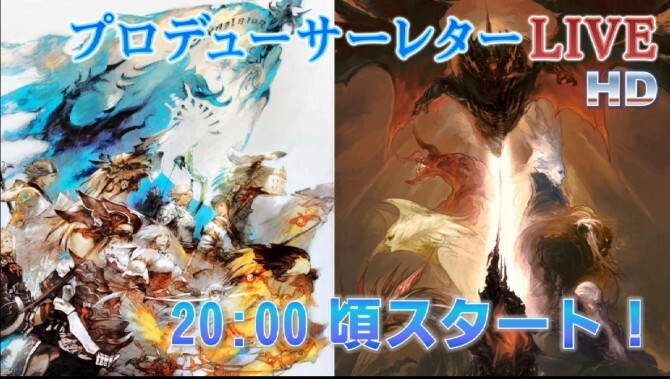 Q23: During the previous Producer Letter Live, you showed us artwork for the upcoming PvP gear and some of the artwork had the open face. Will we be able lift the visor for the warrior artifact helmet or put on the hood up for the white mage artifact armor? A23: You will be able to lift the visor for the warrior helmet, but unfortunately, you won’t be able to put on the hood for the white mage armor. Q24: Will it be possible to customize or add color to magitek armor? A24: We are creating them so that they can be customized and colored. We are also thinking about implementing content involving playing with both chocobos and magitek. Q25: Will we be able to listen to the music that we heard at the start of of the show when you showed the magitek armor in-game? A25: Generally, the in-game music is created based on the scene. However, with this particular music, Music Director Soken went all out and created it strictly from the images that were released on the blog. Soken mentioned that he has no regrets creating the music! Since the music wasn’t something that we requested, we’ll try to use it if we can find a good fit for it. Q26: Can the duty finder be used for 4v4 or 8v8 PvP colosseum and other content? A26: There will be a matching system that can be used. Q27: How will the primal fights change in ARR? A27: They will be basically be the same as the fights in version 1.0. However, we will be making some minor tweaks based on the new battle system and the primals will have a larger role in the main scenario. Q28: Do you plan on adding any random elements to dungeons, such as where monsters and treasure chests spawn, paths, and puzzles? A28: Currently we are not planning on this, but I don’t believe it is out of the question. Q29: You have shown us many rewards that we will be able to obtain in ARR. How will crafted gear impact the game? A29: In ARR, every gear is assigned with an item level. These item levels are also tied with the difficulty of each instanced dungeon. For example, let’s say you challenge a higher-level instanced dungeon without meeting the item level requirement. Players will be able to able to fill the missing item level via crafted items. Also, players will be able to unlock new crafting recipes by completing content. We’ll make sure the crafters will be able to shine in many aspects of the game! Q30: Will it be possible to watch PvP as a spectator without actually participating? A30: We are planning to have it so you can view the camera of the players PvPing, but we’re just barely progressing with this, so we will be looking into this as a feature to be released in the future. On a separate note, in order to record in-game content and upload it, we need copyright permission. However, considering the current trends, gameplay videos are quite popular, and we were able to clear all the authority issues with the cooperation of all the related individuals including the songs and voices. Of course, materials cannot be used if they are not A Realm Reborn-related, and when it comes to A Realm Reborn materials, they cannot be used just any way. However, after launch, we’d like to aim at allowing you to have fun and make official gameplay videos. We will be sure to inform you all of details moving forward. *Since there is a NDA in place, this will not be possible during the Beta Test. Q31: Will we be able to change the appearance of our characters during the beta phase? Or is this something we can only do at the launch of ARR? A31: The one-time appearance change will be available only for the launch of ARR. Q32: When are you planning to switch the Lodestone to the ARR version? A32: We will most likely switch over to the ARR version some time between phase 3 to phase 4 of the Beta Test. Q33: What’s the status of Legacy players wishing to add their names to credits? A33: We will be releasing the sign-up page next week so please stay tuned! Q34: How much of an impact will the selected guardian have on our characters? Will it be minimal similar to 1.0? A34: Yes, the impact will be very minimal. Q35: Could you provide more details on how we will be able to move items between characters on the same account? A35: While you will be able to move items between different characters on the same account, the feature will be unavailable at the launch of ARR. We will monitor the situation and release the feature once we feel that it’s okay to release. Q36: Will trains, boats, and airships run on a set schedule? Also, will we be able to see Eorzea from the sky when we ride on airships? A36: It will basically be the same as it was in 1.0, so unfortunately it will not be possible to view Eorzea from the air. Q37: Will there be a feature where we can try on equipment? A37: We are planning for this; however, it will not make it in time for launch, so it will be some time after. Q38: Since we will be able to change our genders with the launch of ARR, are there any plans for us to be able to exchange the “fire resistant” gear based on the new gender? A38: We’re currently looking into how we would like to address this. Q39: Do you plan on making a guild finder (LS finder) type of feature where you can search for an LS that fits your goals? A39: The feature you are asking has already been implemented on the Lodestone, so we would first like you to utilize that. Q40: Will you be implementing a feature where you can directly research monsters and item stats from in-game? A40: No. However, we are looking into a smart phone app, so we’d like you to research it from that. Do you want to learn more about valor points power leveling ? Are you one of the five people on the planet who does not own World of Warcraft in some form? It’s kind of been a big deal for the past several years. Having established that you do not already own the game, would you like to pick up the base game plus the first two expansions on the cheap? Even cheaper than their normal prices, that is? Because you have a chance to pick up the whole shebang for just $10 this week. Normally the World of Warcraft Battle Chest bundle costs $20, but until April 23rd you can pick the whole thing up for half of that. The game also has a free trial you can play if you don’t want to take the risk of buying the game without knowing if you’ll like it, although at $10 it’s almost cheaper to just bite the bullet. This just makes me a sad kitten, reminding me of just how much fun the game was, back in vanilla and TBC, when the balance between skill and brute force time investment was a bit more sensible. I tried to like Wrath, I really did, but beyond some nice fjords (Slartibartfast would have approved), it just seemed to be mechanics simplification combined with more stuff to grind. After years of playing both healer and tank in raids and having a lot of fun in PvP of various kinds, I found that my heart just wasn’t in it. I thought at first that I had just outgrown it, but looking more dispassionately at my attitude, I think it just became less challenging, and less fun. Nevertheless, I won’t easily forget how much I liked the tangible sense of a world, in Vanilla. Discovering the forests around Dire Maul, or trekking through Thousand Needles to get to the desert for the first time really were high points in video gaming for me, just as the first time that we cleared BWL (last healer standing, too, yay). However, sorry, WoW. It isn’t me, it’s you. You used to have my interest, now you rarely even have my attention. 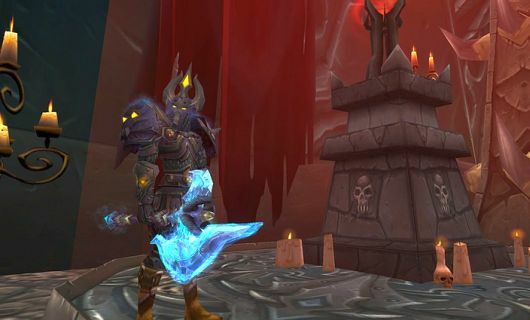 WoW is beginning to show its age. Still loved but the costs involved constantly come to my mind to justify for an aging game. There are new things to do.. but that aging thing is starting to show for a sub based game. Reduce pet battle focus make it even more PVP centered. Put body sliders and new skins and shapes for races at character creation. Get rid of the farmville focus but take the farm concept towards true player or guild housing. Introduce a f2p option if subs drop significantly to retain player base. Not freemium but generousness f2p though cash shop will still feature or game cards to increase a certain amount of level limits. Sales like in this story are always welcome too.